Cat Island Humane Society (CIHS) offers subsidized spay/neuter programs, veterinary assistance, low-cost preventative medications and supplies, and low-cost animal food. CIHS operates under the guidance of a Board of Directors. Its finances are transparent and records may be viewed by donors and members. 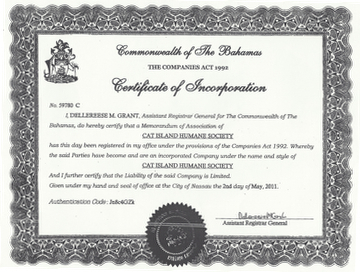 CIHS networks with other animal welfare organizations in the Bahamas, Caribbean and internationally.